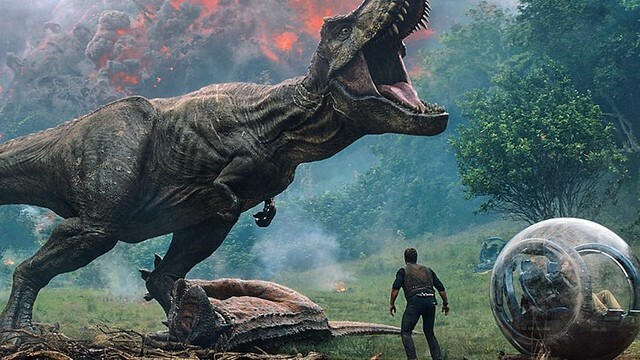 I really enjoyed Jurassic World, but this looks bad. It's like they are trying to remake The Lost World as they remade Jurassic Park for Jurassic World. Mistakes and all. I think the genetic experimentation angel is just the wrong tree to be barking at. It makes no sense that people would be trying to create monsters for any purpose. We have technology that does anything we could possible want. We don't need monsters. This reminds me of CoD when they introduced the dog. This, is what I would call a turn your brain off movie and just enjoy the ride of it. The series has always been about genetic experimentation. The reason the original park existed in the first place was because of genetic experimentation. The original book was very much a cautionary tale about why tampering with things we don't fully understand can be a pretty bad idea. The monster/military angle has been floating around for the past 15 years, as well. Just be glad they're not going down the road of dinosaur-human hybrids they were initially exploring for the original version of Jurassic Park 4. However I would totally be down for the alien vs. predator vs. terminator dark horse comics story made into a movie. Why is this relevant? Well.. if you don't know you should go read the comic. I’m thinking more the fact that the genetics was about trying to reconstitute a dead species. It was “playing god”. It wasn’t mad scientist crap. That’s a whole other, more ridiculous thing. Wouldn't pay to see it, but I'll MoviePass it for sure. Looks pretty meh to be honest, but I like Chris Pratt and Opie's daughter. I already have my tickets. This is a trailer too far IMO. It gives away too much when we already knew so many details. The whole auction and further experimentation aspect could have been a cool twist to discover as part of the movie.